Sign-up to the ASEN Newsletter! 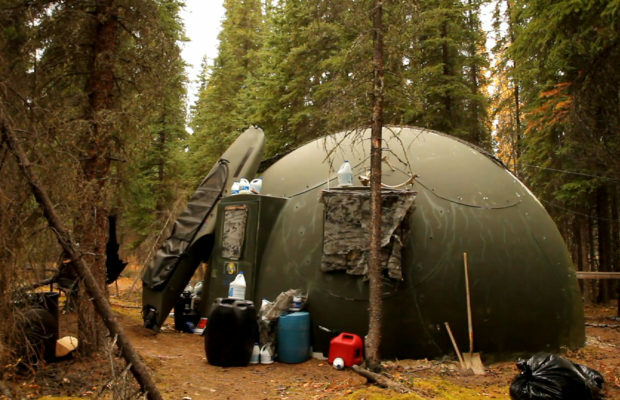 Doomsday preppers: paranoid nutjobs or eco-visionaries? Recently, in order to avoid doing any actual study about environmental issues, I’ve been binge watching National Geographic’s Doomsday Preppers. It follows US families who’ve devoted themselves to preparing for any number of doomsday scenarios – everything from natural disasters like earthquakes and hurricanes to a nuclear attack or economic collapse. Many have invested tens of thousands of dollars or more in any number of elaborate schemes to protect their family from catastrophe – underground bunkers, home-made tanks, surveillance systems, booby-traps, you name it. Of course, most are also obsessed with stockpiling as many guns and as much ammunition as possible so they can defend themselves and their families from the hostile masses should society go belly-up. It’s easy to dismiss the “preppers” as paranoid nutjobs, and I suspect this spectacle is the primary appeal of the show. Preppers seem like the ultimate proof of the absurd individualism of American culture – so convinced that the government is either incompetent or out to get them, and so distrustful of everyone else in their communities, that they have become obsessed with total self-reliance. Most of the protagonists are suburban white men, and I’m sure you could write essays for gender studies about prepping as performative masculinity, a macho façade which hides a deep sense of insecurity. However, there is more beneath the surface. Many preppers are interested not only in defence, but in ensuring they can provide for themselves after the collapse. This has led many of them to ingenious DIY green designs in their attempt to ensure self-sufficiency. There are lots of examples of excellent home gardens built along organic/permaculture principles, rainwater collection or water purification systems and home-made renewable energy setups. One guy has even built an apparatus like a giant magnifying glass using the screen from an old television, which enables him to cook and even melt steel using only sunlight. One of the most interesting examples I found was in season 3 episode 3, where Arizona family man Chad demonstrates both sides of the prepper universe. Chad is convinced that the US government is eventually going to wage nuclear war on its citizens, so he is building a bunker in his backyard and giving his young daughters firearms training. However, Chad has also developed an aquaponics garden which easily produces enough food for his family. Aquaponics is a combination of fish farming and vegetable gardening, where the water (containing nutrient-rich fish crap) is pumped through the garden beds and then waste plant material is fed to the fish, forming a closed system that requires no other inputs. This allows fish and vegetables to be grown very quickly and efficiently. The only waste produced is algae, which, in a further stroke of genius, Chad is able to convert into a natural fuel called biodiesel, enabling his family to be self-sufficient not only in food but in fuel as well. As environmentalists, I wonder if there isn’t something we can learn from people like Chad. Ultimately the environmental movement must focus on broad social change, not just celebrating people who’ve cut themselves off from society, but the preppers have many important lessons to share about how to do more with less. They show us that other ways of doing things are possible – maybe if we can convince them that Bush didn’t do 9/11, we can get somewhere. 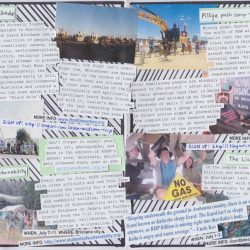 This was written after attending the five day summit of the World Student Environmental Network in the UK. 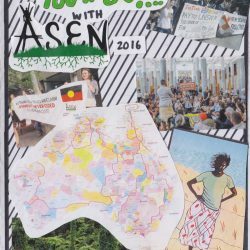 Before this year, the WSEN has not been related to ASEN. To preface: this piece is critical, but by no means does that come without praise. I had a great week at the World Student Environmental Network conference and am immensely appreciative of the work put in by the organisers – I took so much from the week and there is really no substitute for spending a decent amount of time with students from across the world sharing ideas. Still, I feel the need to share some critical feedback in the hope that this time can be more effectively used in future. I write this as an invitation for critical feedback and input in return, as I certainly don’t have all of the answers – actually, I have hardly any, but I do have a hope that together engage in a constructive dialogue that will begin this process. It is a little past 3am here, and I sit sleepy in an airport café under a relentless stream of pop songs while my body and mind begin the recovery from an intensive 5-day conference. Truthfully, the WSEN summit left me with more questions than it answered – and perhaps I would have been suspicious if the opposite were true. The issues we face worldwide with the degradation of ecosystems that sustain human and nonhuman life are complex, often cumulative and interrelated in ways that evade anything other than fragmented understanding, let alone clear solutions. 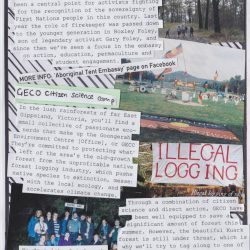 It’s probably also fair to say I am tainted with some cynicism, but only one that is fuelled by the love and rage that has been a product of my couple of years involved in the ‘environment movement’, witnessing many battles fought hard and lost while the successes predominantly occupy a scale overshadowed by simultaneous systemic destruction. A motif of ‘inspired and inspiring’ reappeared through the conference, and while at times I certainly felt this – surrounded by critical youth with diverse perspectives and skills to create change – there were times when I also felt dismayed. 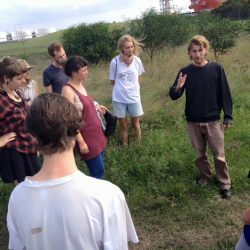 Perhaps naively, I had hoped that a trip across the world and 5 full days could set up some sort of infrastructure for students to organise, share skills and resources, and critically evaluate in a long term sense to begin to force the conversations and actions demanded by current ecological crises. Instead, I feel we went home once again as individuals – with a broader perspective on issues and some amazing new friends, no less, but without a real network to facilitate large-scale change – at best, a network to create another summit in another year’s time. Maybe this was too much to ask, but I think that’s an excuse – we could have been more prepared. Nearly every day of the summit, I found a lack of socio-political analysis and intersectionality applied to the issues of ‘environment’. While some speakers certainly centred this, others left me bored – take, for example, the comforting chat from Zero Carbon Britain, which was wonderful at demonstrating potential alternatives but glossed over the radical shifts necessary to make sure such changes should occur in a just manner. The huge power of the fossil fuel industry to block meaningful change was hardly figured as a problem; rather, it was suggested that we do not consider them as ‘enemies’ or try to undermine their power, in favour of a dubious and briefly explained plan to print money and buy all the fossil fuel reserves for renewable energy vouchers. Correct me if I’m wrong, but I don’t think anyone has been saying we don’t have the alternatives necessary for a renewable future (or not anyone I’ve worked with!). What we don’t have is the political will or space to make these alternatives viable, and nor do I think we will achieve this without strategic action – much of which, I believe, will need to be confrontational if we are to pay any attention to the urgent timeframes that our C02 emissions leave us. 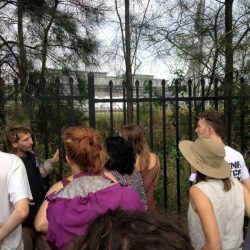 Coming from Australia, I realise, has thankfully made me more sensitive to the intersection of processes of colonisation with environmental degradation – though I still have much to learn. Still, I expected more from the conference than an optional (and poorly attended) keynote and workshop on [de]colonisation on the last day of the conference. Without making these links early on, we will consistently fail to create just solutions. 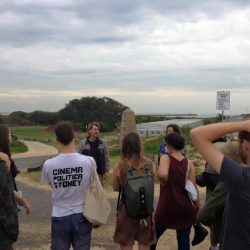 Anna Lau gave the pertinent example of a wind farm that had, in its physical demand for land combined with a lack of proper democratic deliberation, effectively furthered the dispossession of marginalised communities from their homelands. We need to listen to these stories and histories to ensure that we are not lulled into false solutions that create larger rifts. I think this is also true of development work – we must always be asking if ‘solutions’ to socio-environmental issues, particularly technological ones, are empowering the communities they are targeting. And I think it’s important to think critically about what ‘empowering’ might mean – in terms of autonomy, dependency, and diverse ways of considering ‘quality of life’. Asking the people who stand to directly lose or gain is probably a good place to start! The people I met at the conference were brilliant, and I look forward to keeping in touch and working together in the future. In them, I saw bright brains and hope and a commitment to creating change. However, I also saw glimpses of a reluctance to consider ideas that challenged the system, and even, occasionally, a disdain for those that did. ‘Change from within’ was a running piece of advice from some of the keynote speakers – and sure, many of us are probably well positioned to work within the systems that already exist, and push for gradual change over time – after all, it’s naïve to conflate tactics with politics. But unless we are well equipped with a critique of those systems, and a vision for what a socially and ecologically just system might look like, how could we be expected to be successful in these endeavours? How are we to ensure we don’t make the same mistakes as generations before us? If WSEN isn’t the space for those conversations – active conversations, where students are part of the dialogue, not recipients of a lecture – then we need to question its purpose. 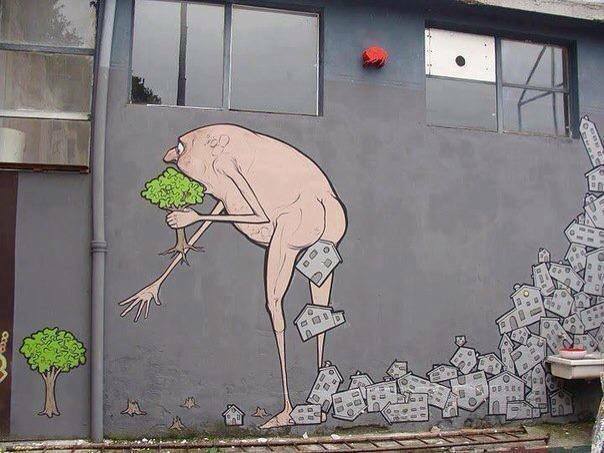 And then, the question of sustainability initiatives. I am torn. As an environmental science student I do deeply see the value in trying to reduce coffee cup waste, promote recycling and reuse – these actions have tangible impacts on ecosystems in our lifetimes. But unless we address the underlying ideological commitments in structures that pursue accumulation of profit and erosion of collective welfare, I see these projects as limited. The time for tinkering around the edges of environmental damage is gone, if it was ever appropriate in the first place. I am desperate to see young people who are angered by the carnage of capitalism, intersecting with oppression along various lines of othering, that directs our research and shapes our ideas of possible careers, of quality of life, of our capacity to collectivise and imagine a world made meaningful by a language other than money. Still, there are many things we can do, and the conference reaffirmed by belief that local action can be extremely effective. Organising collectively for both resistance and resilience can challenge existing oppressive structures while at the same time creating just and sustainable spaces & ways of relating to the world and each other. Communicating and actively promoting solidarity between local groups is powerful. We can do this around food, work, and living spaces – so much is possible. However, I also leave this week feeling quietened. I am more conscious that I live in one of the echo chambers I am so quick to critique; more aware of the immense questions of strategy and commitment to action that are required to meet the crisis we face. I have not lost hope. I just feel a little weary, as I am sure many do. There is so much work to be done that it is difficult to know where to begin. Indeed, maybe it is not ‘beginning’ that needs to happen at all, but continuing and communicating and supporting. Agnes from NSW ASEN improvised a little song about capitalism, and we think it’s pretty great. Here’s ‘Mr Corporate in the Minor Key’! Yesterday the ASEN road trip crew travelled up to Newcastle and was taken for a tour of the Newcastle Port by our travel guide Jonothan Moylan. From Nobby’s Headland, we saw the dredging boat taking out sediment to dump it offshore widen the channel to accomodate more coal exports. We stood over the large arterial railway that takes coal trains to and from the port day in and day out, not even breaking for holidays. There coal trains are not covered and the coal dust poses a health risk to the 23,000 children who go to a school within 500m of the train line.